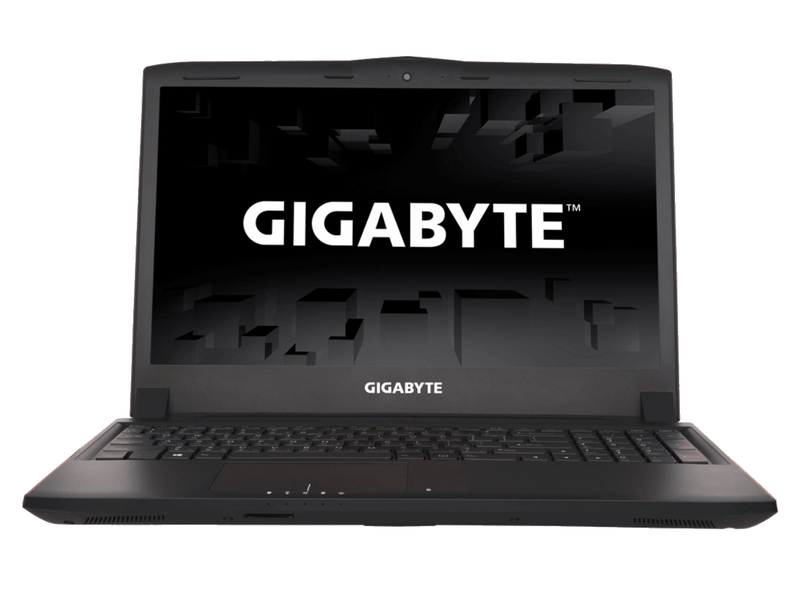 The Gigabyte P55 has always been one of the major gaming laptops around. The V4 model comes with a Broadwell CPU. Alike its predecessors the exterior is from plastic, but it looks as stylish as it can get and makes the entire unit one of the lightest gaming notebooks. The built quality is quite good with the shell being firm enough. The P55 V4 comes with orange stripes on its sides, which doesn't look serious for professional use in a business meeting for instance. The touchpad seems to be smooth enough but could be bigger. The 15.6" LG LP156WF4-SPK1 display uses IPS technology and features Full-HD resolution. However, its brightness seems to be a little too low for outdoor usage. Furthermore, the built-in speakers are not suitable for a gaming laptop. Under the hood there are a Broadwell i7 processor clocked at 2.7 Ghz - 3.5 GHz, an Nvidia GTX 970M with 3 GB DDR5 memory, 16 GB of RAM, and a combination of 128 GB SSD + 1 TB HDD for OS and storage. The hardware is a pretty serious configuration. However, the P55 has some flaws, which are its non-ac WiFi card and high CPU and GPU temperatures. In addition, it lacks an USB 3.1 port. The Gigabyte P55 V4 is a good gaming laptop, but the higher price is hardly justified in view of the many competitors out there and the lack of a newer USB 3.1 port. A much needed refresh. Gigabyte's newest redesign throws Broadwell into the mix for some impressive results. Find out why the P55 is one of our favorite notebooks to come from Gigabyte thus far. Gigabyte's P55K V4 covers all the bases a gamer might look for if they don't want to be tied to a desktop PC. A good quality full HD screen driven by a powerful CPU and GPU combo make it a great contender to more expensive alternatives like the HP Omen, and it is considerably better value than the Acer V15 Nitro. The styling may not be to everyone's taste, and the chunky plastic body could have been blessed with a few more premium touches, but the matte finish and orange accents certainly help it stand out from some of the more boring alternatives. We had issues with the Gigabyte P55 V4's underperforming display and keyboard and trackpad don’t meet quality for the price but this laptop is assuredly fast for gaming and other applications. If you are looking for a 15-inch gaming laptop with a solid level of performance for today's PC games, the Gigabyte P55W offers a very satisfying experience. Pricing is also great considering the CPU, graphics and display they provide. The system is not without its issues though. The heat and noise generated by it may be distracting for some and the USB ports make peripheral attachment quite annoying at times. Hmm. Well, let’s start from the good part – the Gigabyte P55W-BW1 nails it in terms of performance and main features. Very good 3D performance for the price with a Broadwell I7, Nvidia GTX 970M. Good feature set including a good 1080P IPS display (but low brightness), SSD + HDD, 16GB RAM (ExcaliberPC), very good keyboard and low noise under light load. Enduring. 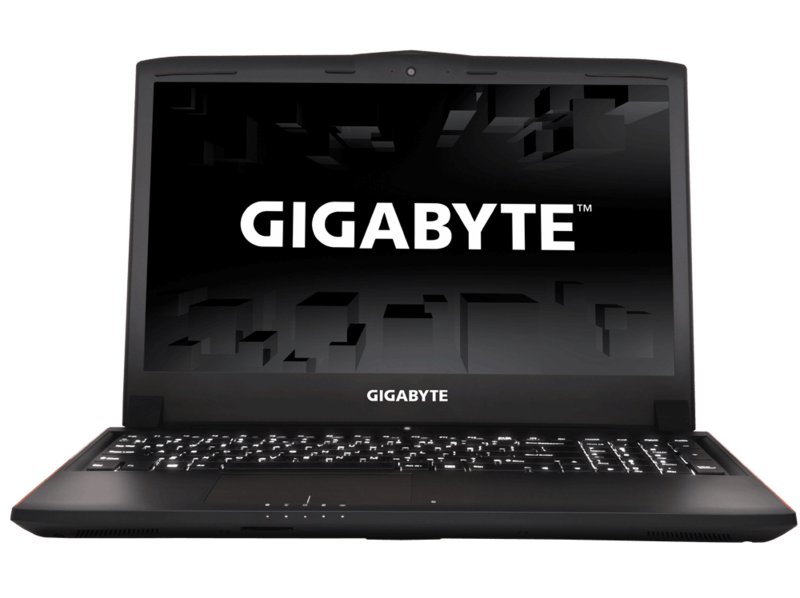 There are no obvious performance gains in Gigabyte's gaming laptop when compared with the predecessor. However, the new Skylake processor leads to a considerably better battery life. Furthermore, a fast NVMe SSD is also on board. In the end, though, the Gigabyte P55W v5 does several things right. It’s a beast of a gaming laptop and its decent battery life makes it a lot more versatile than its nearest competitors. The GTX 970M might be on its last legs, but it’s still a great chip for games here and now. The only real drawbacks are the P55W’s slightly disappointing display and mediocre build quality. However, when the P57W suffers from the same problems, the cheaper P55W is definitely the better buy overall. I’d also go for the P55W over Asus’ similarly-priced ROG GL552VW, as its GTX 970M chip puts it in much better stead for future games than the ROG’s GTX 960M. It might not be a huge step up from the last version, but the use of Intel’s new Skylake CPU is a welcome inclusion indeed. Offering exceptional value for money, the P55W v5 is one of the best mid-range gaming laptops on the market… as it should be after five generations of improvement. The Gigabyte P55W might not look like a killer gaming laptop on the outside, but on the inside it has all the right ingredients to deliver some great performance. It will play games with ease, it offers reasonable battery life – and size-wise it's a more practical proposition than more monstrous gaming units, like the MSI GT72S Dragon Edition. While the design may be a bit stark and not terribly exciting,the P55W is far from unattractive. 5700HQ: Broadwell-based quad-core processor for notebooks. Offers an integrated HD Graphics 5600 GPU and is manufactured in 14 nm.6700HQ: Skylake-based quad-core processor for notebooks. Offers an integrated HD Graphics 530 GPU and is manufactured in 14 nm. 83.01%: This rating should be considered to be average. This is because the proportion of notebooks which have a higher rating is approximately equal to the proportion which have a lower rating.» Further information can be found in our Notebook Purchase Guide.